September 7, 2018 4:04 pm. Talented sprinter Sunday Escape (right) faces his toughest test in the McEwan stakes at the Valley. Dwayne Dunn has always felt speedster Sunday Escape has the talent to one day be successful at stakes level. On Saturday Sunday Escape runs in the McEwen Stakes (1000m) at Moonee Valley, but unfortunately for the pair it is a tougher than usual Group Two affair. His opponents include Nature Strip, the $1.45 favourite, Everest contender Shoals ($6.50), multiple Group winner Quilista ($13) and Magic Millions winner Houtzen ($14). Sunday Escape is at $61 but has a good record at the Valley, running the fastest 955m in the summer night racing challenge with his 54.75 seconds earning trainer Andrew Murray a $55,000 bonus. “He goes well at the track and distance and ran really well the other day,” Dunn said. Dunn has ridden Sunday Escape in the majority of his 45 starts although Craig Williams was aboard when he finished second to Faatinah in the Carlyon Stakes at the Valley two weeks ago. Sunday Escape wore blinkers that day which brought about a change of form. “Andrew asked before his run the other day about putting blinkers on and I said it can’t hurt as he’d put in a couple of ordinary performances,” Dunn said. “Putting them on bounced him back to form. 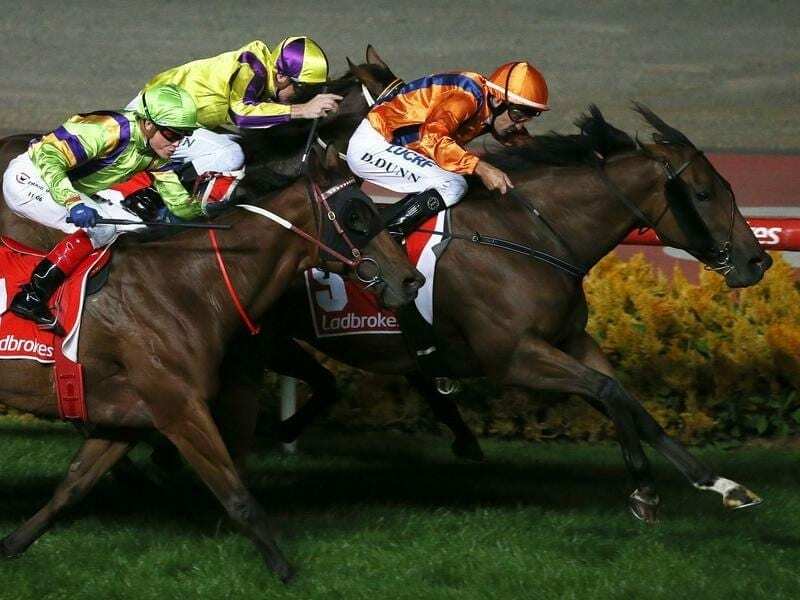 “We thought he’d get to Group Two, Group Three level this preparation and he did run third at Caulfield one day where he was beaten a little over a length by a couple of Group One horses. While he has had a long association with Sunday Escape, Dunn partners Spanish Reef for the first time in the Dato Tan Chin Nam Stakes. Craig Williams won a Cranbourne trial on the mare last month but rides Hartnell in Saturday’s race. “I haven’t seen her and it’s probably a big ask as there’s nowhere to hide,” Dunn said. “Fitness may be a little query but she did win first-up over 1400 metres at Flemington so that suggests the mile should be OK.